It’s impossible to buy anything but the most entry level Radeon graphics cards right now. 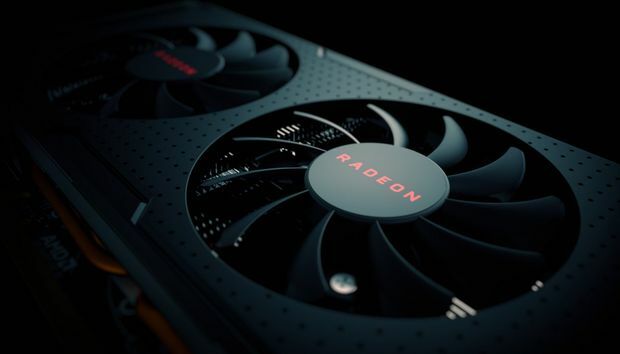 That’s expected at the high-end, as AMD’s enthusiast-focused Radeon RX Vega graphics cards won’t launch until the very end of July. But even “sweet spot” mainstream graphics cards like the superb Radeon RX 570 and RX 580 can’t be found right now, with all models either out of stock or selling for wildly inflated prices online. You’ll find a couple of PowerColor RX 580s ostensibly selling at standard cost on Amazon, but if you look closely you’ll see the models are out of stock. Amazon’s selling first dibs on inevitable restocks. You probably shouldn’t expect to see the cards in your hands any time soon. So what’s going on? Computer Base asked hardware vendors about the shortage at Computex 2017 and the answer can be summed up in a single word: Miners. Cryptocurrency users can use graphics cards to “mine” new coins and generate a profit, and AMD’s graphics cards happen to be particularly well-suited for the task. This isn’t new: Bitcoin and Litecoin miners gobbled up every Radeon graphics card they could get at the end of 2013, creating a global shortage and inflated pricing. As cryptocurrency matured, however, ASIC hardware dedicated specifically to mining surpassed the efficiency of consumer graphics cards, easing the pressure. Then came Ethereum, a cryptocurrency that can be mined like Bitcoin. Sapphire's Radeon RX 580 Pulse. The Ethereum network was built to be resistant to ASIC hardware, making mining Ether with graphics cards viable. Ethereum’s enjoying a Bitcoin-esque bubble of mammoth proportions right now, with the price of Ethereum skyrocketing from under $19 at the beginning of March to roughly $220 today. That’s the perfect recipe for making Radeon cards disappear. Budget graphics cards aren’t as good for mining, so the Radeon RX 550 ($80 on Amazon) and RX 560 ($110 on Amazon) are still available at standard prices. That modest hardware simply can’t deliver top-notch 1080p gaming experiences like the RX 570 and RX 580 can, however. While the RX 570 and RX 580 juuuust edge out Nvidia’s similarly priced offerings in PCWorld’s guide to the best graphics cards for PC gaming, they're damned close. The 3GB GeForce GTX 1060 ($190 on Amazon) and 6GB GTX 1060 ($240 on Amazon) match up very competitively with AMD’s offerings. Nvidia’s graphics cards aren’t selling for crazy sums, either—at least for now. If you’re in the market for a new $200-ish graphics card, the RX 570 and 580 still earn our top recommendation, on the off chance you can find one at an affordable cost. But if you can’t, and you can’t wait for Radeon prices to plunge back to earth (because who knows when that will be? ), Nvidia’s GeForce GTX 1060 cards won’t let you down. They’re damned fine hardware too. Fingers crossed these dark times end soon, though.